UNITED Family International Church leader Prophet Emmanuel Makandiwa allegedly consults traditional healers and stage-manages prophecies, according to papers filed in court. In an opposing affidavit to Prophet Makandiwa's application for dismissal of a US$6,5 million lawsuit by businessman Mr Upenyu Mashangwa, the litigant says the preacher should appear in court where evidence will be led to prove that he is a "fake prophet". Part of the affidavit reads: "Respondents (Prophet Makandiwa and wife, Ruth) have in the main matter made allegations against the present applicants. "We must establish those allegations. We intend to lead evidence for instance which shows that the applicants obtain powers from their association with the occult, that they consult traditional healers, have people which they use in their church to obtain information from congregants and which Makandiwa passes on to unsuspecting congregants as prophecy. "The affirmation is as false as the many 'prophecies' on the basis upon which we now sue Mr Makandiwa as a common fraudster." Mr Mashangwa says Prophet Makandiwa must appear in court where he will prove that the preacher "is a false prophet and has no relationship with God" and "that despite knowing that to be the case, he lies to people that he has communion with the Divine". The businessman, through his lawyer Mr Jonathan Samukange, says, "I want Makandiwa to say under oath that he is a prophet of God. I want him to tell the court how his powers of prophecy were transmitted to his wife. "I want him to explain why he took advantage of the trust we had reposed in him. ''I also want him to explain the kind of magic that he used on us all this while and to rebut the suggestion that he consults the occult. How can all this be decided on affidavits? "I finally indicate that all these issues that relate to whether Makandiwa is a false prophet are issues that are going to be put to him by my counsel who is not only competent in law but I believe probably knows more of the Word than Makandiwa." Mr Mashangwa says he will also demonstrate, Bible in hand, that Prophet Makandiwa is not entitled to receive tithes. 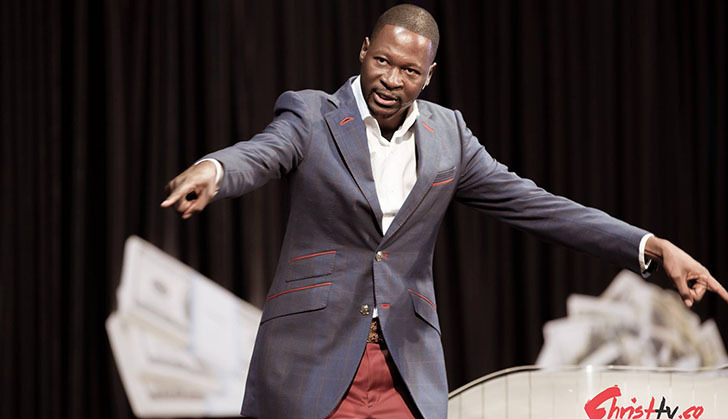 "It is going to be clear that his receipt of tithes is a fraudulent act at any rate … It means nothing to me that Makandiwa is quoting scripture, even the devil does," says Mr Mashangwa. Mr Samukange told The Sunday Mail that Prophet Makandiwa's application for dismissal was a fruitless effort to defeat High Court judge Justice David Mangota's position that Prophet Makandiwa defend himself. "Makandiwa's application is an abuse of the court processes. He is asking another High Court judge to overturn a ruling by a same court judge. He was supposed to go to a higher court. Makandiwa is basically saying make a ruling in my favour. "The fact that he has paid my legal fees for the exception application case which he lost means that he recognises Justice Mangota's ruling. Let Makandiwa appear in court and I will cross examine him; he must take the witness stand and testify."